Here are 10 of the most expensive restaurants in the world. When you consider the price for a meal can be more than a mortgage payment (or two), that’s a whole lot of dough for a few hours of bread and wine. 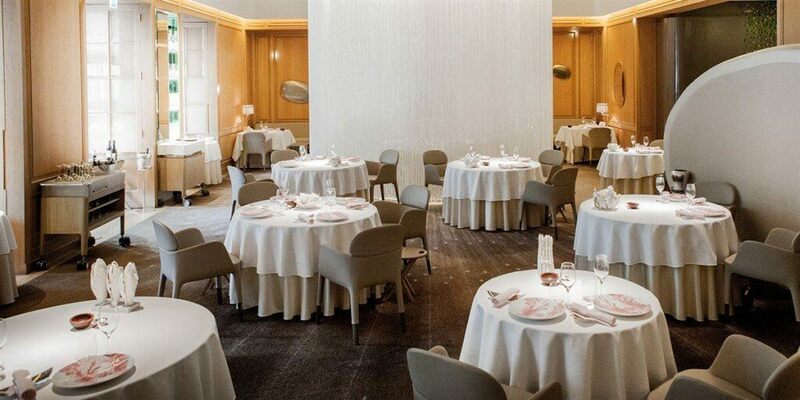 Another restaurant of esteemed chef Alain Ducasse, Plaza Athénéé is located in the city of romance; but you are not going to love the price. Seated below chandeliers comprised of 10,000 glimmering crystals, the dining room itself is a work of art. The menu consists of rare ingredients, and a plate of steamed langoustines with caviar costs over $260 alone. One of the most expensive restaurants on the list, but as it’s set in one of the most beautiful cities in the world, it’s also one of the most desirable. The least expensive restaurant on the list, but still incredibly expensive by the average American’s standards, Misoguigawa blends two styles of cuisine French and Japanese Kaiseki. The result is a truly original and exhilarating experience for lovers of either cuisine, and the rave reviews across multiple foods blogging sites back that up. If you’re feeling extravagant, you can try the more expensive $270 per person menu; but you must call and reserve this at least five days in advance. On the menu, beef filet with potato soufflés, buttered French beans, and roasted pumpkin. The fine dining establishment of the late chef Benôit Violier and his wife Brigitte, Crissier is highly rated by all who eat there. Located in a gorgeous setting, and staffed by a team that makes everyone feel like royalty, Crissier offers a wide array of dishes to suit many palates. Roast saddle of suckling lamb, purple sea urchin, duck foie gras, and wild turbot are all in the $375 menu. 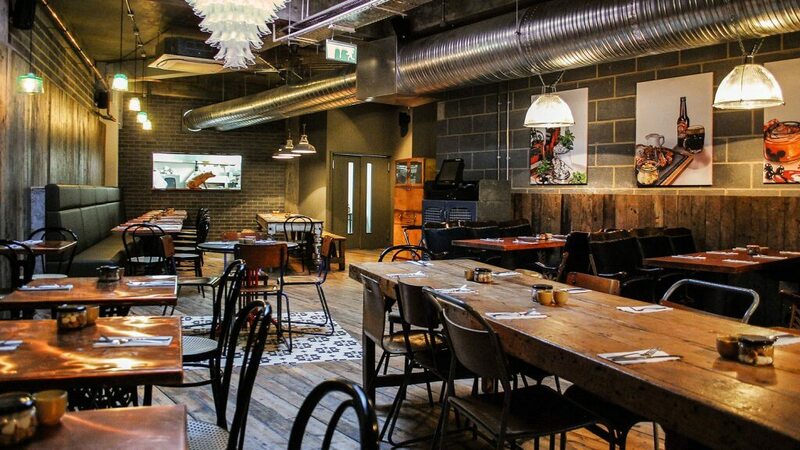 If you’re in a hurry, you can get a quick lunch for just under $200 per person. Back to London again, and more modern French cuisine. But this is double the price of a meal at Ramsay’s eatery. 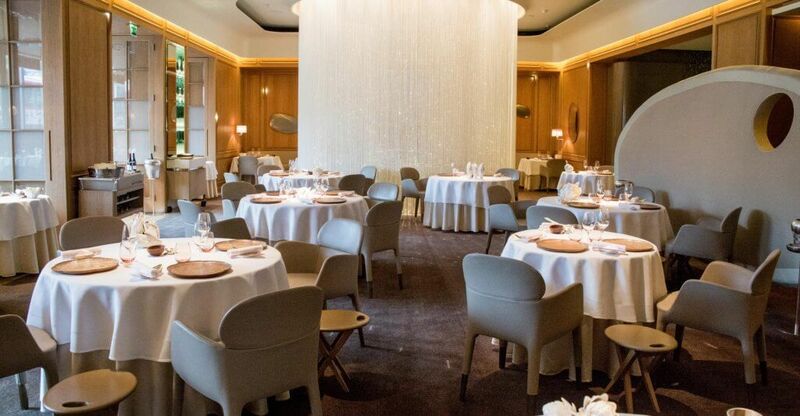 Located in London’s famous Dorchester hotel, Alain Ducasse is a three Michelin star restaurant serving exquisite food to diners with deep pockets. The Black Truffle Menu is a seven-course meal costing $343 ahead but if you want to “slum it” you could try the A La Carte menu. For $136 each, you get a starter, main course, and dessert (service charge not included). 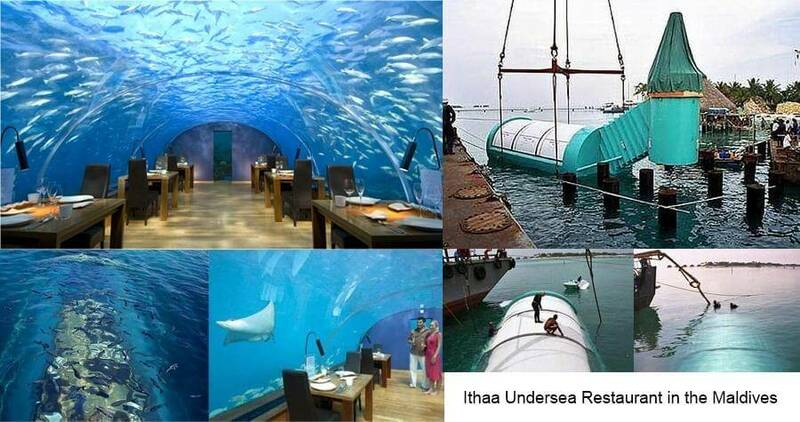 For a dining experience that is a feast for the eyes, as well as the palette, you could try Ithaa in the Maldives. Sitting 10 feet below the surface of the Indian Ocean, surrounded by sea life and coral, this small venue accommodates just 14 guests for lunch, dinner, or cocktails. 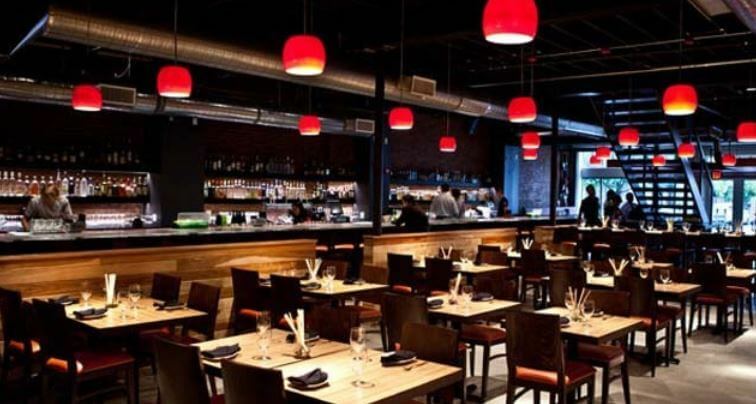 Expect mascarpone and truffle dumplings, lobster Carpaccio, and agnolotti of duck. Considered one of the most beautiful restaurants in the world, you won’t have an easy time getting a reservation. But when you finally do, it is considered an experience unlike any other. Masa is not just expensive; it’s often considered overpriced, and simply a chic hangout for Hollywood A-Listers and fat cat businessmen. 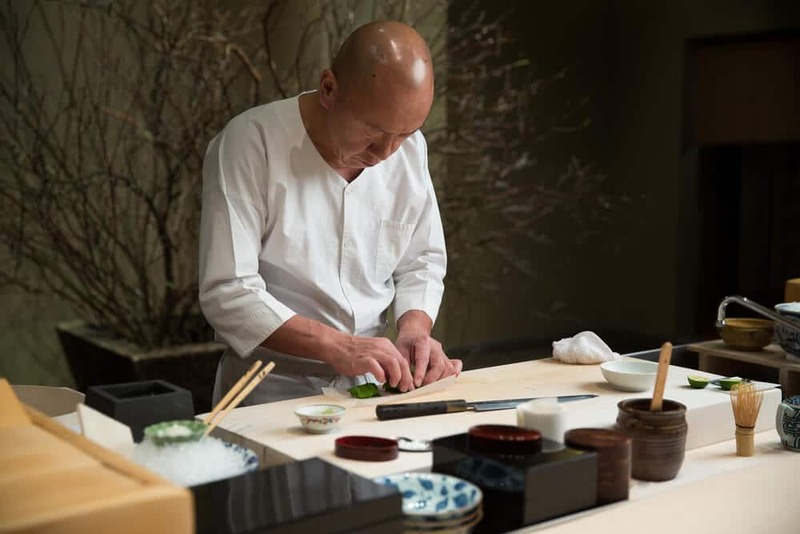 It’s a Japanese sushi restaurant opened by renowned chef Masa Takayama in 2004. Expect to pay $45 for a single scoop of ice cream, $240 for maki rolls, and $60 for grilled scampi. 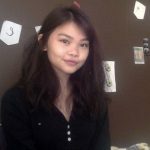 What’s the draw? The food is good, but really, it’s the company. People come here to rub shoulders with the elite, and to prove a point. This is the restaurant for the 1% of the 1%, and while it may be a luxury you and I can afford one, this is a regular hangout for the rich and famous. Compared to the first restaurant on the list, a meal at Restaurant Gordon Ramsay seems like a bargain. But of course, when you factor in wine, tip, and other additions, you’re still looking at around $500 for a meal for two. One of the many restaurants of the infamous chef Gordon Ramsay, this is his signature location. Your three-course meal will consist of modern French cuisine, including pan-fried sea scallops, sautéed foie gras with roasted veal, and Cotswold lamb. Oh, and don’t worry about Ramsay’s temper. With so many restaurants around the world and all of his TV shows, it’s doubtful you’d ever see him make an appearance. Following in the footsteps of her famous chef father and grandfather, Anne-Sophie Pic is continuing the tradition of high-quality, multi-course dining in the heart of Drôme, France. As you can expect from a three-star Michelin restaurant, the menu is mouth-watering. From squab and candied turnips to Banon goat cheese Berlingots, and melt-in-your-mouth chocolate desserts, it’s an experience you’ll never forget. And neither will your bank balance. 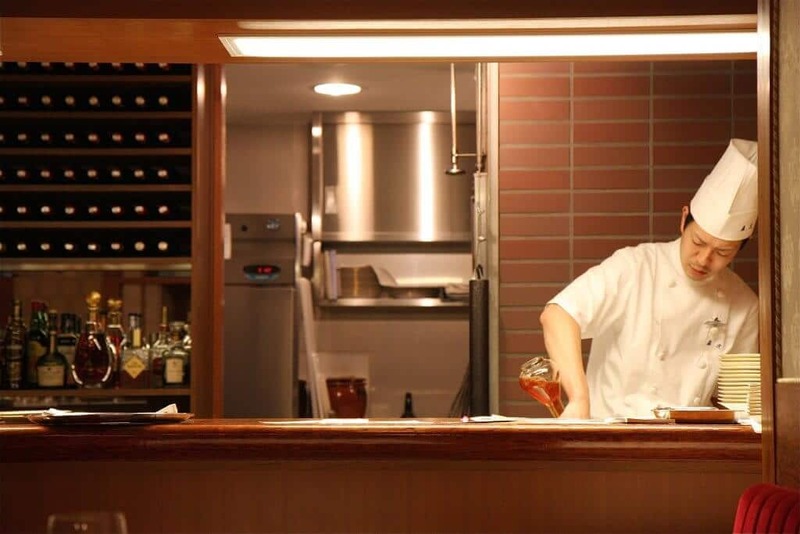 If you like the finest steak, Aragawa could be one to put on your bucket list — if, of course, you happen to be in the Shinbashi district of Tokyo. You would think the price alone would make it relatively easy to get a table but think again. It can take months, or longer, to get a reservation. The reason is the Wagyu beef (more commonly known in the U.S. as Kobe), which comes from just one local farm. The process to raise the Tajima cattle is long and painstaking, resulting in high prices. But one thing is for certain — no one who has ever tried it has said it wasn’t worth the price. 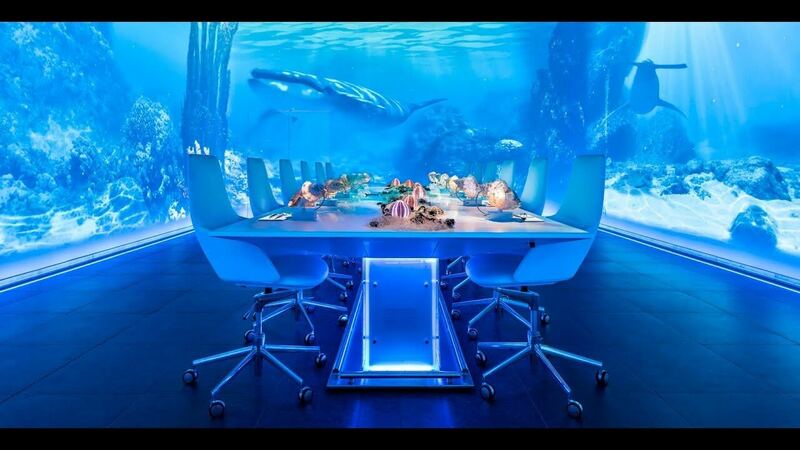 Topping the list is SubliMotion, a restaurant located inside the Hard Rock Hotel in Ibiza. At over two grand per person, for just a few hours of dining, you know this is an experience only the very wealthy can afford. If you somehow want to blow your savings on the experience, you can expect a 15– 20-course meal, based in the art of molecular gastronomy. Not only that, but this sensory experience marries the meal with music, visual stimulation, art, and hi-tech headsets. The reviews are stunning, but of course, for that kind of money, they should be.